The “golden age” of karting for many people was powered by 100cc air cooled motors revving upwards of 20,000 RPM. Since then the demand to drive down cost and increase reliability has seen a dramatic change in the landscape of karting. But there is a small band of men that are looking to turn back the hands of time and breathe life back into to old karts and motors. 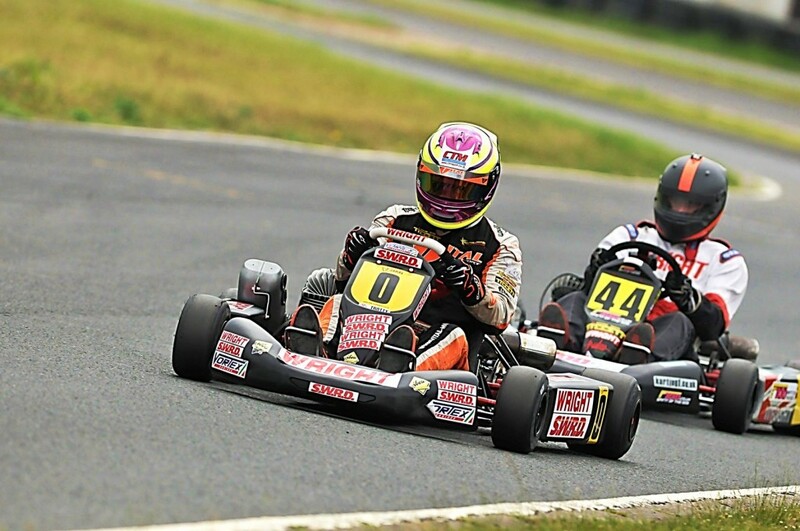 The F100 series runs both a Pre 95 and Pre 2000 class for people to resurrect their karts and allow them to compete in a professionally organised and friendly series. Oliver Scullion, the series creator and mastermind currently pilots a Wright Suzuka in the series and is a continual front runner. Along with 2014 F100 “O” plate champion (And 2015 vice champion) Chris Trott the Wright chassis have a great pedigree in the early years of this great series. The F100 brand offers an official 7 round Championship series (Which Scullion himself leads the Pre 2000 class standings), an annual “O” plate meeting and official F100 club events situated around the country throughout the year. There is currently 53 drivers registered for the F100 Championships proving the draw of the series. 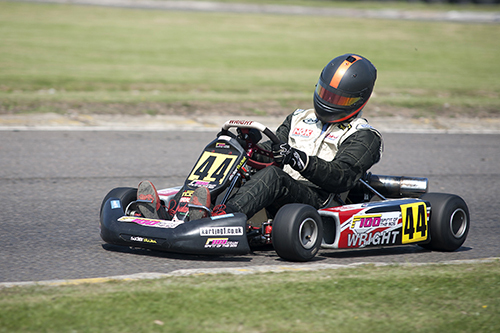 With the introduction of the new series SWRD have seen an increase of demand for used and old stock Wright kart parts. Whilst there is limited stock on various part we will do our very best to help with every enquiry. There has also been a huge increase in demand for rebuilding and repairing of air cooled motors, something SWRD is renowned for following multiple British championship victories during the original air cooled era. 2014 F100 Champion Chris Trott being powered by SWRD tuned motors. For any further information on our products and services you can contact us here. We would like to give our heartfelt congratulations to Oliver Scullion on becoming the first ever “F100 World champion” in the pre-2000 class on his Wright Suzuka chassis. Scullion took the victory at Lydd kart circuit ahead of multi British Champion Mike Spencer (2nd), David Hog (3rd) and Glen Guest (4th). Matt Martin took the pre ’95 class title. You can see the rest of the results on the F100 page here. To learn more about the F100 series visit their official website or Facebook page.